The newest Sia album This Is Acting is nothing short of incredible. Released on Friday, January 29, these 12 tracks are exemplar of Sia Furler’s chilling songwriting and vocal talents, proving that she is more than just an elastic-hearted pop entertainer who can produce catchy radio hits. According to the New York Times, This Is Acting is a collection of songs that were intended for other popular artists, such as Adele and Rihanna, and were ultimately rejected. Sia reclaimed them as her own, and as a listener, I am so glad that the original artist was the one to release her own material. While Sia tangoed with her former self-destructive self, and her intoxicated past in her 2014 release 1,000 Forms of Fear, which produced the chart-topping single “Chandelier,” the singer is grappling with recovery in This Is Acting. More importantly, the artist is reminding herself, and her audience, about the importance of breathing. Maybe I’m a sucker for some good, electronic piano-based power ballads, but in my humble opinion, but this is the best work that the Australian singer-songwriter has produced yet. “Broken Glass” needs to be mentioned as well, as it depicts a fragile, romantic relationship in which the narrator no longer desires to fight for any longer. Each and every track stands out on its own on This Is Acting, this is definitely an album worth investing in. 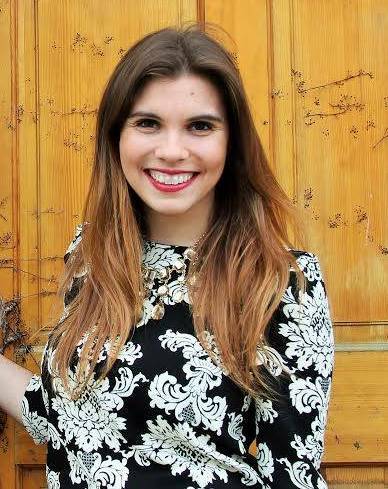 Abigale Racine is a senior studying English, with a focus in journalism. She is the Culture Editor of The Saint and does some freelance work on the side, when she isn’t soaking up the scene that is Grand Rapids.